It took me about 3 weeks to fully move in, mostly because I repainted my bedroom. Technically I am still trying to organize my clothes out of their packing containers but that will be over with in time. Everyone is moved in, my friends and I found a fourth roommate and my cats are also moved into the basement. So far life is going good. We have had some roommate debates about the decor and layout of the living room. Mostly one roommate wants everything her way which I was fine with until she wanted to put the loveseat into the dining room. That is just wrong. Luckily the loveseat didn't fit in the dining room so she moved it back. As far as the decorating goes it has all been coming together really nice. Especially since I don't really care how the main floor is decorated I just let everyone else figure that out. But for the basement I have been figuring out how I want to decorate it and my bohemian room is coming together very nicely. With the lovely turquoise wardrobe and cabinet and the tapestries not to mention the tufted violet bed that will be in there. It will look great! My cats seem to be adjusting really well too. I hope they behave themselves in this new place. During our first 3 weeks at this new house we did have a little bit of drama happen. Someone in the neighborhood reported that more than 4 unrelated people lived at our location, which is not true. Luckily our landlords didn't hold it against us and they suspect it was the grumpy old man across the street. We have lovingly dubbed him Grand Torino. The fire department did their inspection and found nothing to be wrong with our living situation and now it is over. 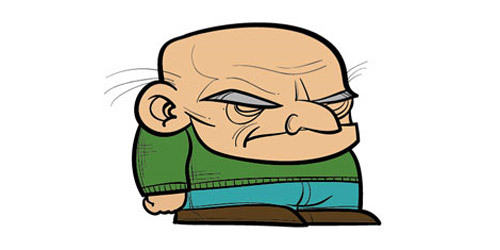 Since we cannot 100% verify that it was Grand Torino that made the report we can't confront him and honestly unless he actually confronts us I have no desire to speak to the grumpy man.